Slightly unusual blog post today. 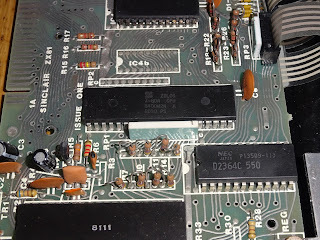 Here's a broken computer I'm not going to fix. 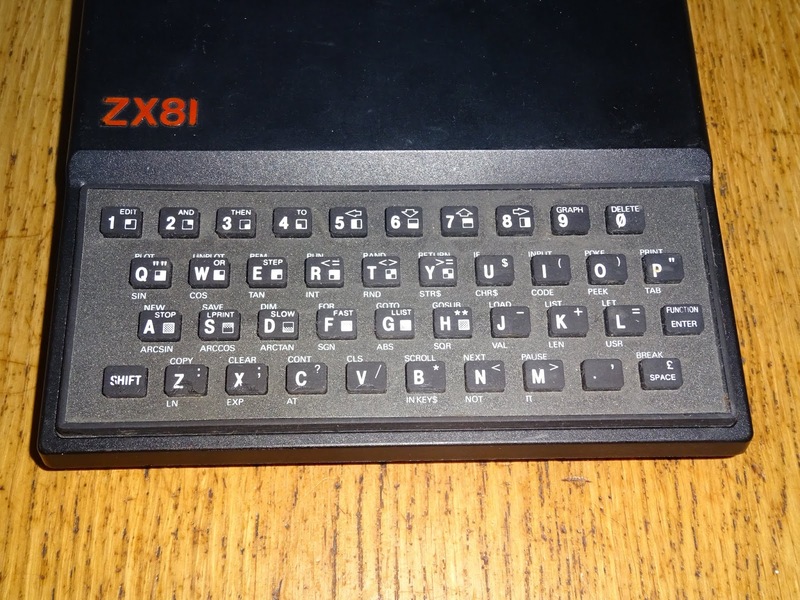 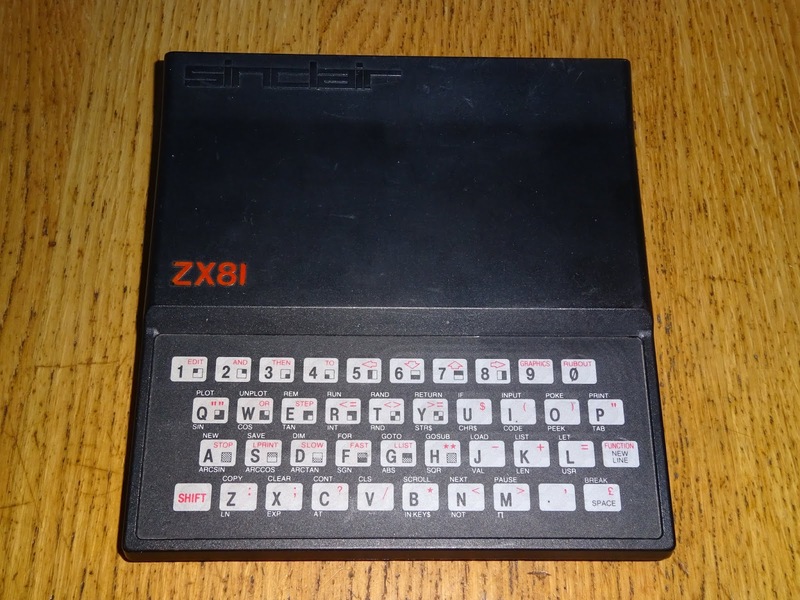 It's a ZX81 in not too bad condition, but with one of those aftermarket keyboards on. 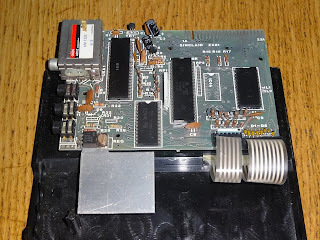 These give it a sort of ZX Spectrum 48K style feel. 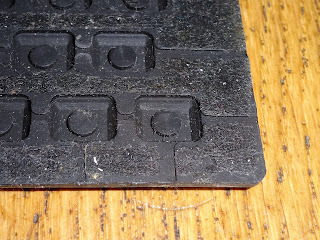 It would originally have been stuck on, but the adhesive has dried up over time and it fell off easily. 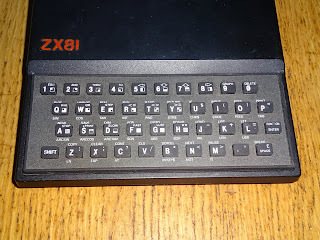 The rubber keys press down on the original ZX81 membrane, so underneath is a standard ZX81. 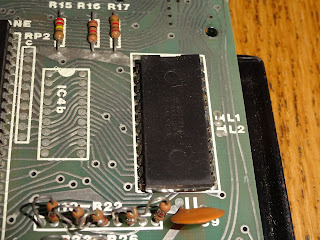 This one is not working, so time to venture inside. 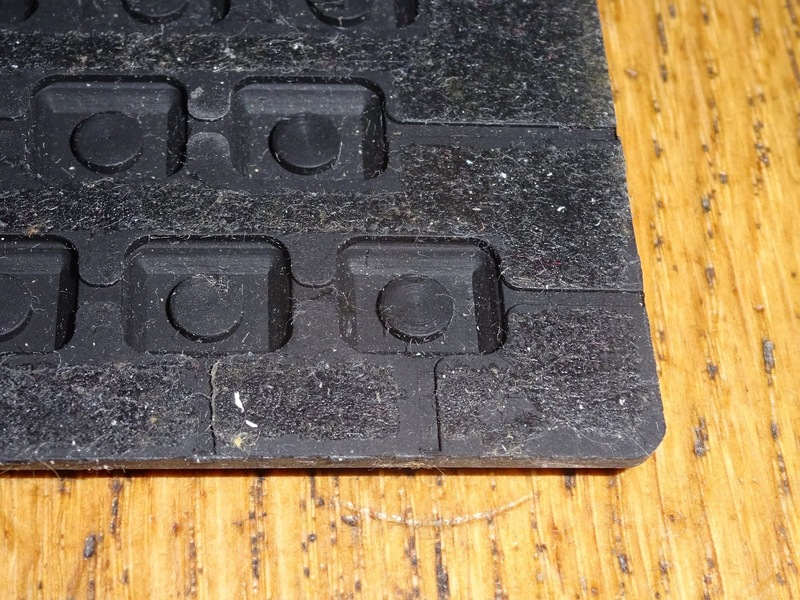 For once, the keyboard membrane tails don't look too bad. 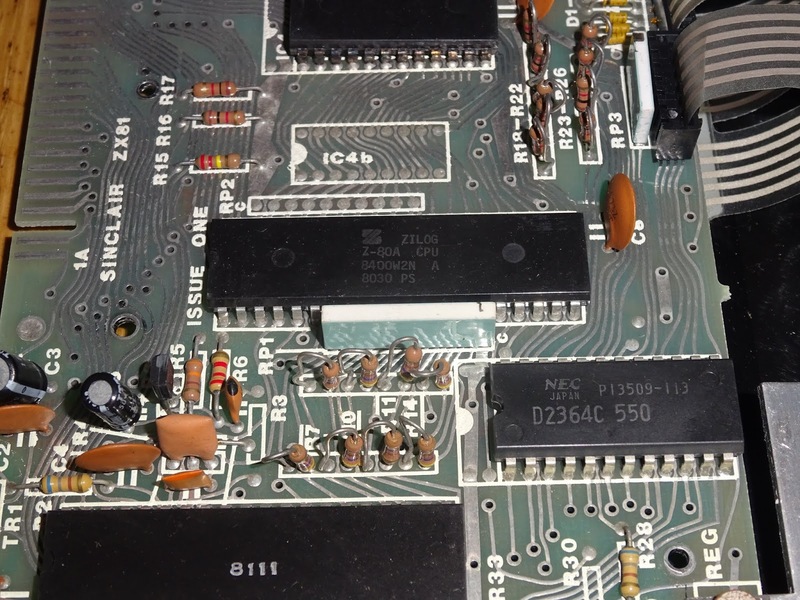 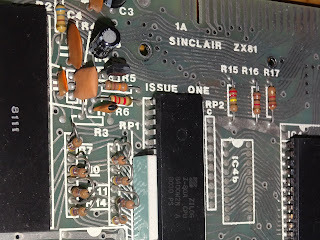 This is an issue 1 ZX81 board, but quite an early one. 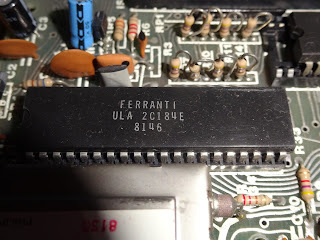 The giveaway is the ULA. 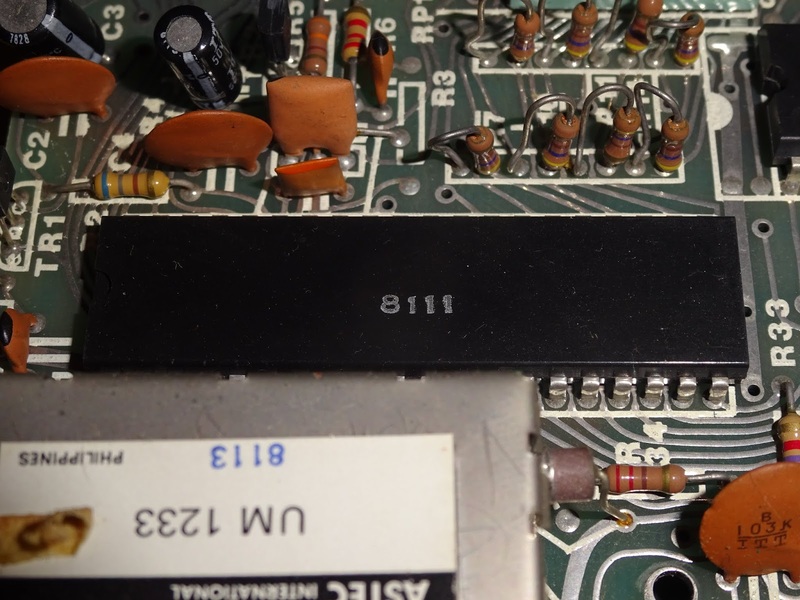 This is one of the early ones with only a date code, no other labelling. So we know this one was produced sometime shortly after the 11th week in 1981. 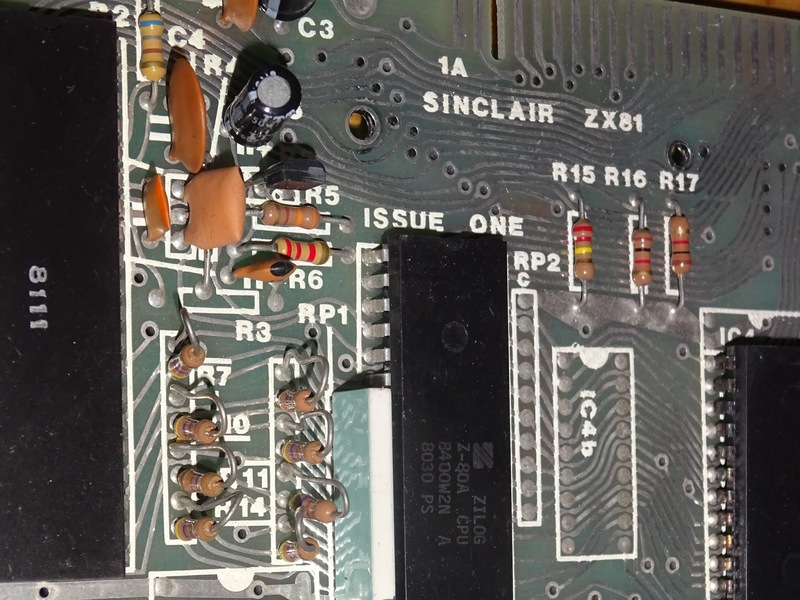 Most of the issue 1 ZX81 boards after this had Ferranti labelled ULAs, 2C184E versions, and most of the chips were socketed. 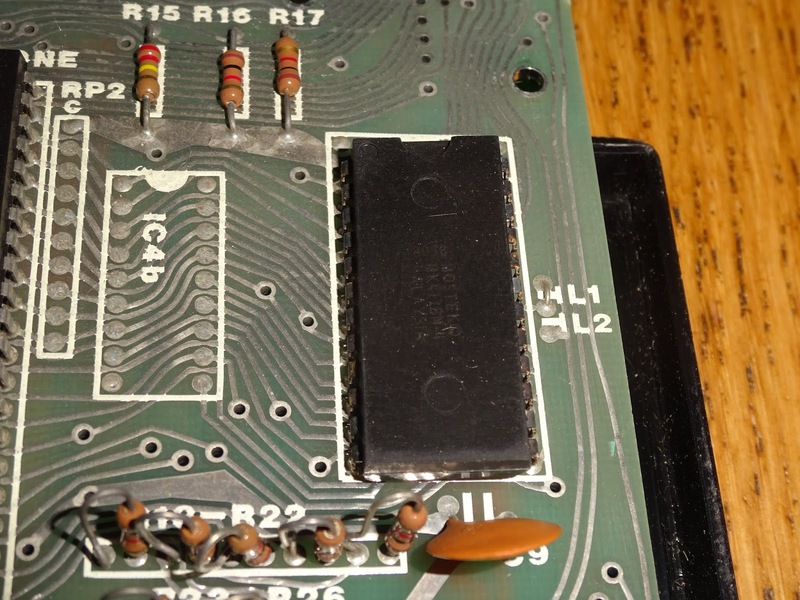 Back to the earlier board, and the ROM is also soldered in, and I think is also an earlier buggy version. 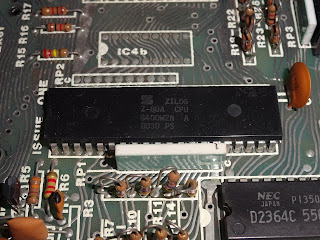 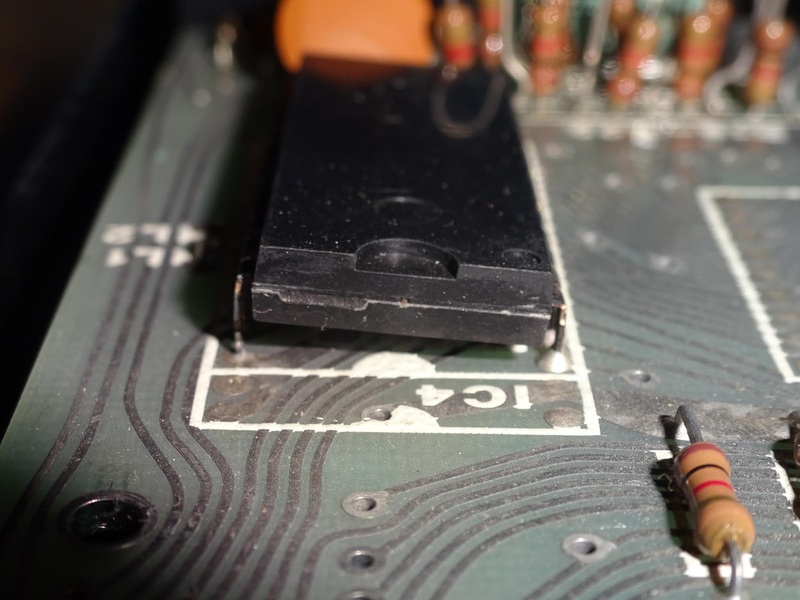 The Z80 is an original Zilog part, dated even earlier, 30th week 1980. 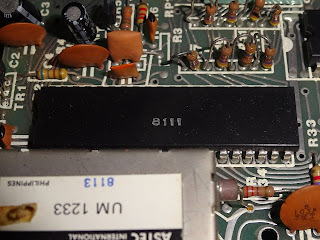 The RAM is difficult to read, a Mostek MK4118 8038 date code? 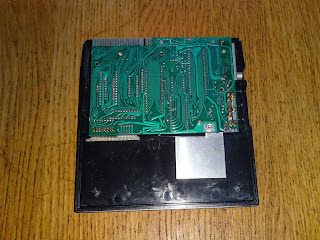 It is at rather a jaunty angle. 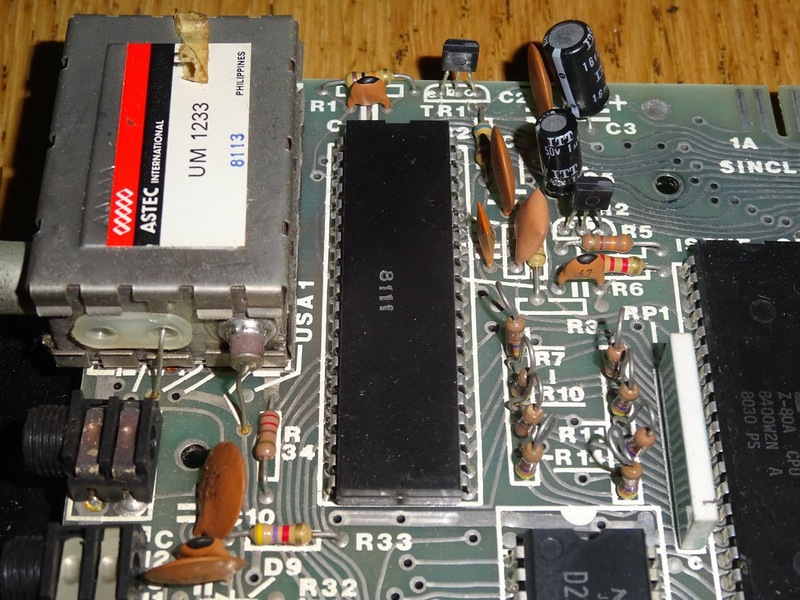 All the bits must have fallen down to one side. 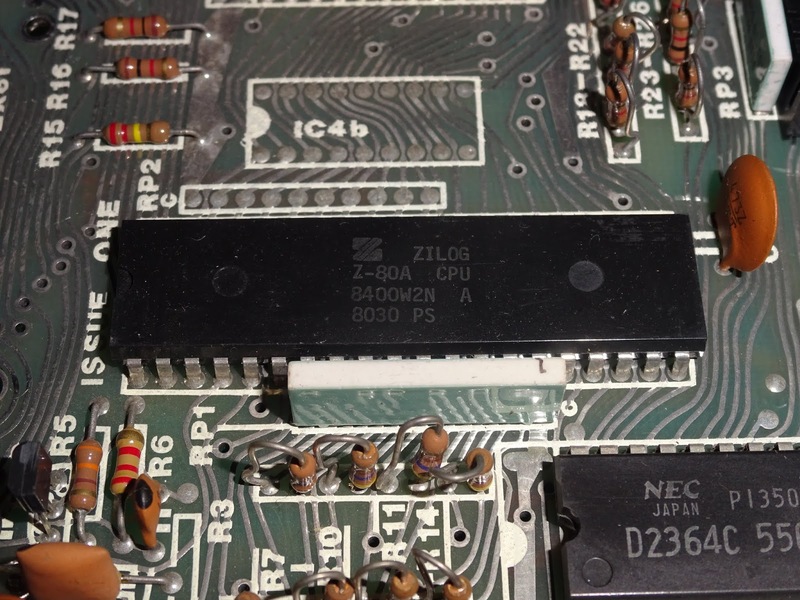 The 5V is there, and there is a clock and the Z80 is doing stuff, but the screen is white. 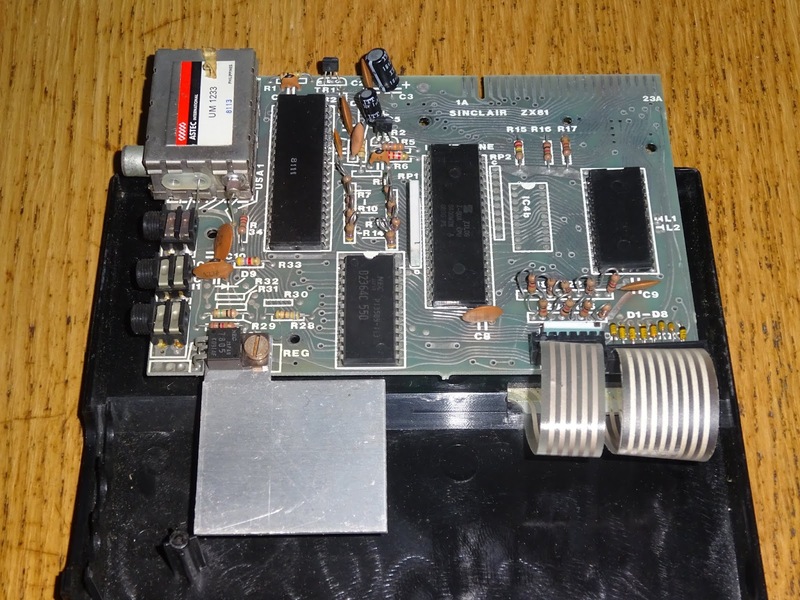 Testing with an external RAM pack makes no difference, so it's probably not the internal RAM, or at least not only the internal RAM. 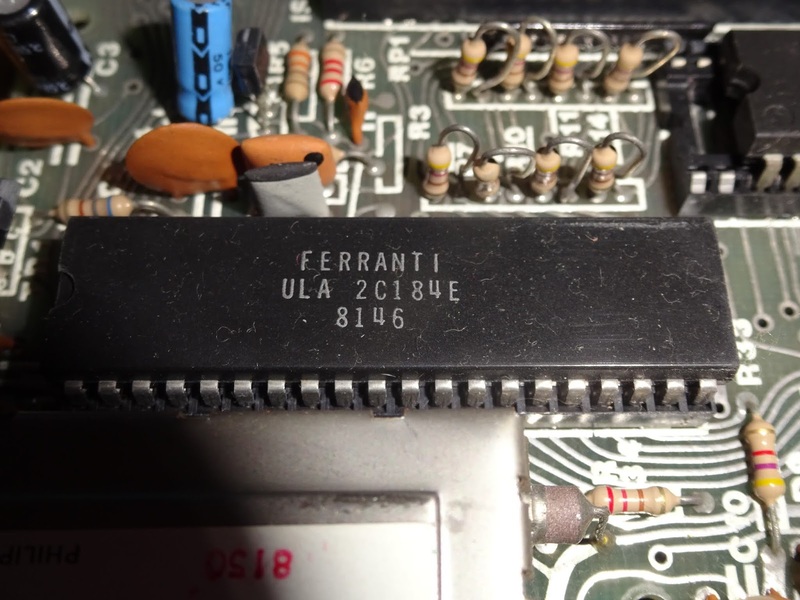 It's looking like the ULA is faulty, and it's not socketed and soldered in. 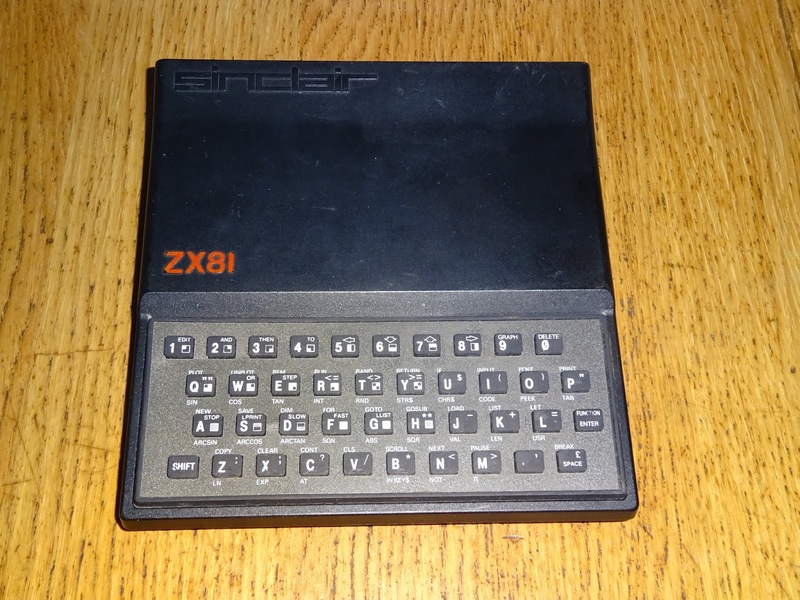 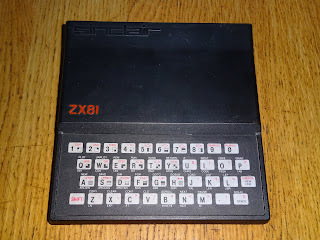 I've got (many) other ZX81s, so I don't need this one to work. It would be a shame to remove the ULA and replace it, or even to straighten up or replace the RAM, as that would make it just the same as any other issue 1 ZX81, so in this case, I think I'm going to leave it alone.